Where are all of my fellow procrastinators at? I just can't seem to wrap my head around the fact that it's already the week of Christmas! Seriously ... where the heck did December go!? 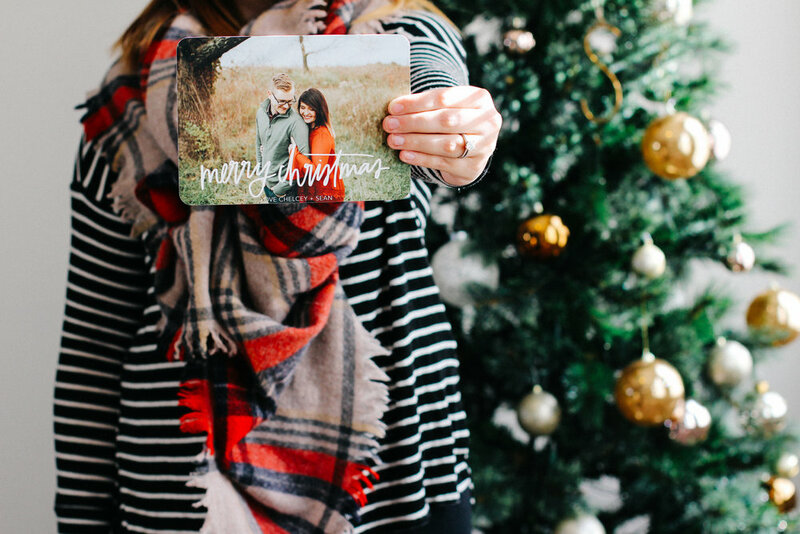 I still have a list of gifts to buy (thank goodness for Amazon Prime ðŸ™Œ), and I'm feeling super thankful that Mixbook came to my rescue with our Christmas cards this year, because y'all know I totally forgot up until a week ago. Number one wife award should definitely be sent this way, am I right? Totally kidding, but really ... can I just take a minute to brag on these awesome cards? Not only is the print quality absolutely beautiful (coming from a designer that's a very high praise! ), but I was able to upload my own custom design featuring my lettering, and get our return address printed on all of our envelopes ... Oh, and did I mention that they arrived at my doorstep only two days after I hit the order button online? Yeah, this company rocks. It may be a little too late to order Christmas cards, but that doesn't mean you can't choose from some of Mixbook's other holiday related options! My three favorites this year are this gold foil "Hello 2017" design, this super modern "Happy Everything" card, and this "Golden New Year" card ... they literally have something for everyone! MERRY CHRISTMAS FROM OUR LITTLE FAMILY TO YOURS ... WE APPRECIATE YOU ALL MORE THAN YOU KNOW! A huge thanks to Mixbook for sponsoring this post! As always, all opinions are my own. Thank you all so much for supporting the brands that support this blog!